Hi, I’m Néstor F. Marqués, Sketchfab Master and researcher devoted to Cultural Heritage. This is the second part of a post you can read here. Technology applied to heritage has many possible applications and outcomes. Many of them are based on 3D scanning or modeling. 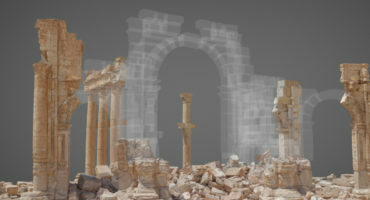 In the first part of this article we discussed how 3D scanning can be a great way to develop new methods in documentation, preservation and spreading of cultural heritage for museums with the example of an exhibition in which I took part on the technological approach. In that same exhibition we took advantage of two other technologies that helped us to explain better the history behind the pieces: 3D printing and virtual reality. Let’s start with 3D printing. In this case the exhibition showed a collection of plaster-casts that belonged to king Charles the 3rd of Spain in the 18th Century. 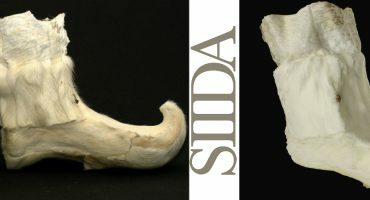 Taking the concept of the importance of replicating an original work, done at that time by using the casts, we have updated the concept to match the current state of the art technology: 3D scanning for replicating the piece digitally and 3D printing to bring it back to the physical world. Thus, working in partnership with the Spanish technological company bq, we managed to have two 3D printers on display creating replicas of the same sculptures of the exhibition. Also, 3D printing was used to physically restore some pieces damaged by time and use at the Royal Academy of Fine Arts where they were used as models for students to practice. Here’s an example of an herm of which we only had the head. 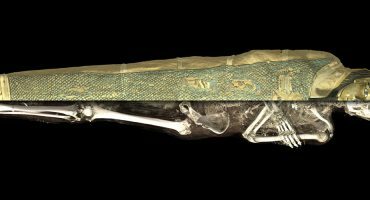 Fortunately, we where able to scan the original roman marble piece from Naples which was intact and with the 3D information make a 3D printed part that fit the broken plaster sculpture. On the other hand, virtual reality is, nowadays, one of the most impressive ways in which heritage can be enjoyed by everyone, everywhere. Any 3D model uploaded to Sketchfab can be seen in virtual reality, something incredible we must thank the team for. At the exhibition rooms in Naples, Madrid and Mexico we installed several virtual reality booths where visitors where able to feel and experience the exhibition after seeing it. But there was more: thanks to the impressive work of Future Lighthouse, a virtual reality company, and the economic support of AC/E (Cultural Spanish Agency) a narrative virtual reality experience was created using 3D scanned pieces and environments and also digitally recreated ones. In the VR story, the visitor could experience the journey of the roman sculptures found underground in Herculaneum and Pompeii by standing in one of the 18th Century tunnels, walk along the casts in the drawing room at the Academy in Spain and almost feel the fresh air of the Academy of Saint Charles in Mexico where the casts where also sent. All these elements combined in the exhibition “Carlos III y la difusión de la antigüedad” enhance a great story of our past in a way that wouldn’t be possible without technology in its current state of development. The tech world has a lot to say in the field of cultural heritage. It has changed the way to see things for many people, leading the path to new applications in research and also getting society closer to culture and appreciation of our past. Make sure to read part one of this story by clicking here if you haven’t and check out my Sketchfab profile as well as those of MANN and RABASF and follow all of them if you like.